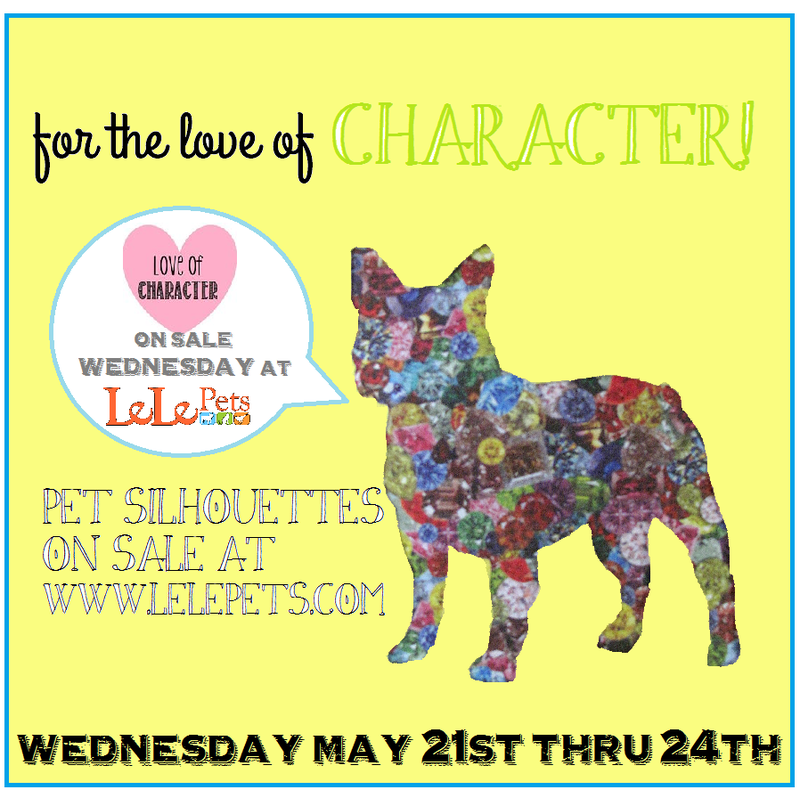 For the Love of Character: LeLePets Sale is Tomorrow! Just wanted to remind you all about my fun sale tomorrow! Since I love all of my readers so much, I also wanted to give you a special promo code in case your pet or shape isn't one of those on sale at LeLePets. You can use this code on the Love of Character Etsy shop! Happy sale week! Hope you check out my sale on LeLePets tomorrow and find something you like. I'm very excited for the chance to sell on their website, plus they have other fun sales that you should check out. Thanks again for all of your support and please let me know if you have any questions.